Thank you for your interest in the Shamanic Introductory Video Series I was inspired to create these videos for those of you who are not able to physically attend the Shamanic Apprenticeships that I offer in the NY area. Although these videos do not offer a certification, the videos will be a great foundation for you to begin your deeper connection and journey into Shamanic work and your connection to Mother Earth. Each video will follow the modules that I actually present in the Shamanic Apprenticeship Course. You are invited to put into practice all that I offer and present in the videos to allow you to have the most positive and optimal experience in your Shamanic journey. The First video covers the fundamentals of Shamanism, the differrent connection to the Cosmos and Mother Earth. 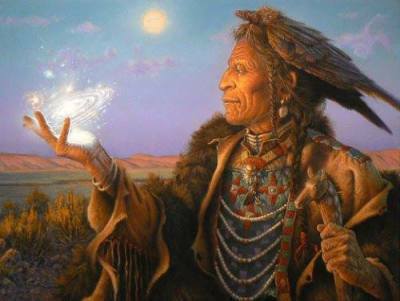 It also discusses the importance of 3 vital principles in Shamanism and practices such as Smudging and Sage. Finally, The first video will guide you through a simple meditation that will assist you in creating a portal space for you to connect with the Mother Earth. After selecting your purchase, you will receive an email with a link to download/view video. Thank you very much for supporting my mission work and I send you blessings as you commence your Shamanic Journey.